A friend of mine was railing against the rise of UKIP in these elections as an indication of ‘the death of ideas’. More accurately, it is evidence of most people not bothering to vote – but still, there is some truth in it. We have, as a country, allowed ourselves to be seduced by wall-to-wall coverage from the BBC that an outspoken individual uttering political platitudes is the same as someone with vision. The lowest common denominator should not be the determinant of a society that has honesty and justice at its heart. So it is rather reassuring that there are ideas out there … and I was fortunate enough to be able to gather some of them (and their people) into a tent at the wonderful Wood Festival. This was the second year I have run the Kindling Tent – and already it feels like it is picking up momentum. While most people enjoyed one of the country’s most perfect and family friendly festivals, I spent two days in my canvas cave being washed with wonder as the clever, wise and brave shared their passion with the audience. and a lesson learned for next year is that we need lots more and we need to put them on the backs of the doors of all the compost toilets – just as Nick Lunch did to promote his fascinating vision for Westhill Farm. George also launched a deeply interesting collection of poems and ideas during his session. Sessions are brutally controlled (by me) – everyone had 30 minutes during which they could do what they wanted but would be kicked out immediately the time was up. And next year I am going to shift it a little – because most people had so much to say that they spoke for all 30 minutes … leaving no time for debate. So I will advise people to aim for 15 minutes of speaking – allowing more time to get ideas bubbling with more people. Jackie Singer opened proceedings, but the weather failed to present me with the joke I had hoped for … first festival of the year, I presumed it would rain, so with Jackie talking about and doing a water ritual, I thought it would be really funny for her to be competing with the beating of rain on the roof. But no, lots and lots of sun! There have been mutterings about nepotism in my selection of speakers … but then again, this is all done for love and I will only be able to ask people I know as then I will know they can do what is needed. So the fact that my wife, Zoe Broughton, was talking should not be taken as an indication of favouritism – because she is genuinely ace. Her history in video activism is fascinating and if you have a chance to see her speak: go see her. Oliver Tickell recently took over the helm of The Ecologist and really managed to get an interesting debate going with the crowd. Following on from him, Al Chisholm talked about the really important campaign looking to get Oxford dis-investing from oil companies. Roman Krznaric was one of my ‘must get’ names for this year – his latest book on Empathy is brilliant and his talk, calling for an empathy revolution is witty and challenging. Who could follow that? Luckily it was George Marshall – an old friend who set up COIN and is now about to have published one of the most important books on the psychology of climate change denial – ‘Don’t even think about it’. He was (and is) wonderful. Keeping art to mind, Stephen Hancock was naughty and funny and rude and serious – he can call it what he likes, but I always think of him as a revolutionary poet. George Roberts made us cry (again) and the first day finished with Amy Fensome telling us why bats are just so special … and leading into the first ‘bat-walk’ Wood has seen. The bat-walk was a bit of a disaster … Amy had come with 5 detectors and we expected up to ten people … Nearly 100 turned up – and with at least half of them energetic children, there was little hope we were going to hear or see anything … I think most people had fun as we talked about bats, but it was not until most had gone that we got to see and hear a pipistrel up in the carpark! It would have probably been better had I not stayed out dancing to a wonderful set(t) from DJ Badger until the early hours – but it was fun to see the Kindling Tent quite so packed! Sunday morning began with a gentle introduction to the art of the didgeridoo from the best of Oxford’s tree surgeons, Richard Upton. Following on from that was a set of local campaigns and organisations that are all so brilliant – Nick Lunch, Phil Pritchard talking about the Earth Trust; Lucie Mayer being calmly resilient on behalf of the City Farm and the incomparable Rina Melendez talking about the refill revolution that is SESI. James Atherton, manager of Lush cosmetics shop in Oxford came with a bag of goodies and quite the funniest introductions to their charity pot – which raises an eye-watering amount of money to environmental and animal causes each year. They even got us into a massage train … I think we need more of that next year! There has to be an A-lister at an event like this, and we were very lucky to have Phil Ball – one of Greenpeace’s Arctic 30 – talking about the drama of arrest at gunpoint and life in a Siberian jail. It was touch and go as to whether this action-man would make it due to a debilitating back injury received while …. rolling over in bed and turning off his alarm clock! It was a testament to the quality of Clare Cochrane that she could do her session having just watched most of the massive crowd leave after Phil – but she was wise and affecting, talking about Reclaim the Night and reminding us that feminism is still very much needed as an idea. Sasha Norris has done many amazing things, and could have talked about TV work with the wildlife glitterati, but instead talked about her projected to get individuals planting trees. 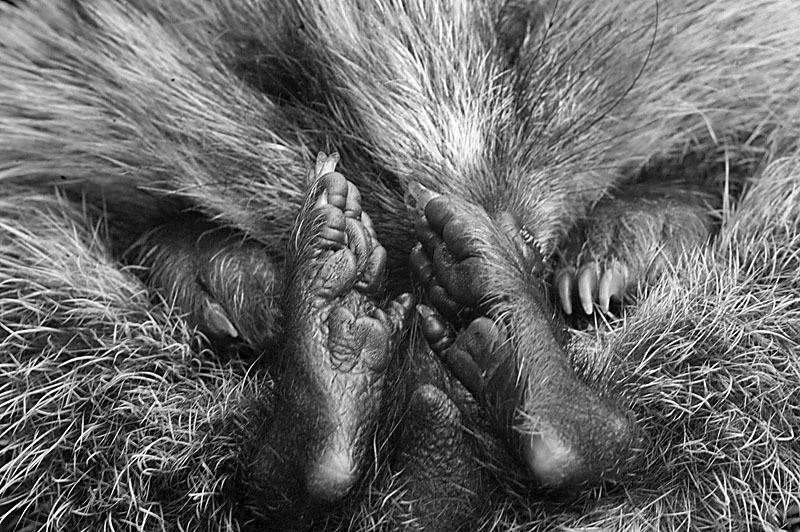 And finally – a little bedgraggled and quite exhausted, it was my turn – to talk about the wonder of wildlife and reasons why we need wild love. I am thrilled with how the Kindling Tent was received. And even more so to hear bits of feedback – ‘it was the heart of the festival’ said one. One shy young man spent much of the Sunday session in the tent and said to a friend of mine how it had been so great to find people who thought and had ideas, how none of his friends back home would ever be interested in this. I want to do the Kindling Tent again next year (and have had calls to take it to other festivals too … not sure I can cope with the logistics of that!) – and I would love to have your thoughts. What could be done better? Who should I invite? What subjects might be interesting to explore? Thank you to the various Bennets who make Wood happen for allowing me to have such fun in my own little corner – see you in the field next year! In 2010, there were 45 new posts, growing the total archive of this blog to 64 posts. There were 41 pictures uploaded, taking up a total of 93mb. That’s about 3 pictures per month. The busiest day of the year was April 12th with 314 views. The most popular post that day was countryfile and empathy. The top referring sites in 2010 were britishhedgehogs.org.uk, urchin.info, care2.com, facebook.com, and hedgehoghelp.co.uk. Some visitors came searching, mostly for hedgehog jokes, stephen fry, hedgehog feet, hedgehog hugh, and hedgehog tattoos.